Know anyone who can benefit from this? Share! We are the only independent and dedicated bike fitting center in South Florida. All we do is bike fitting, sizing and custom geometry design. We don't sell bikes, components (unless specifically needed for fitting), nutrition or anything else. We are not attached to a bike shop - but we collaborate with and support our local shops and engaged the best of them into a program to extend special discount pricing to our customers. We find that to be important, so that the fitting process is never tainted by sales. We are a Retül certified bike fitting center specialized in advanced fitting. We handle bike fitting needs that range from the entry-level cyclist to the most advanced issues with comfort, pain and injuries. We are often sought to resolve the issues that the bike fitting at the bike shops cannot address. We mostly work with everyday cyclists. 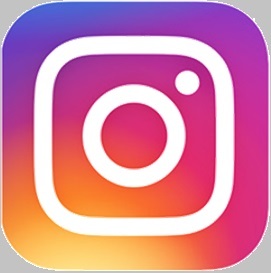 We are also sought after the very Elite Pros - many of whom compete in the UCI Worlds and Triathlon Worlds theater - because we offer an unparalleled level of technology and knowledge. We are a technology-rich bike fitting center. We recognize that the proper tools and an experienced operator are the right combination for success. Check out our credentials and our technology. Our bike fitting is NOT the quick eye-balled, garden variety bike fit you get at a typical bike shop. We provide a time-intensive, precision, computer-aided process that focuses on you, your specific needs and achieving the results you come looking for. That's why the best bike shops in town contract us to fit their customers. 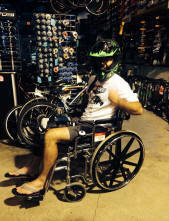 If you want to get properly fitted to your bike, we are the right place. We are completely agnostic, unbiased and with no hidden agenda to sell you one model over another. We just want to help you find the best bike for you. 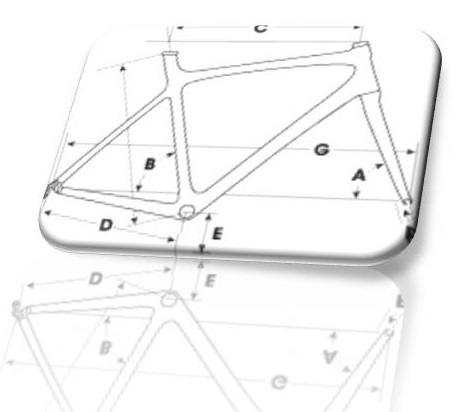 We are also the only custom bicycle geometry design center in Florida. We are certified to design custom-fit bicycles by several manufacturers. If you want a custom-sized bike, we are the only place to come. We developed in-house a cutting-edge protocol for the most modern bicycle design process. Using Retül dynamic motion capture bike fitting technology coupled with a proprietary sizing bicycle of our own custom design, we developed our own proprietary DreamBike software to tie it all together and custom design a bike for your body and the way you move and your desired handling characteristics. Breaking free from retail has its advantages. Miami, Ft. Lauderdale, Doral, Coral Gables, Boca, Dania Beach, Delrey Beach, Weston, Sunrise, Deerfield Beach, Coral Springs, Tamarac, Davie,Plantation, Pembrook Pines, Hialeah, Hialeah Gardens, Miramar, Kendall, Palmetto Bay and more. 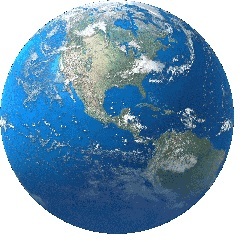 Florida, Texas, Illinois, Georgia, Colorado, Pennsylvania, North Carolina, South Carolina, California, New York, Massachusetts, Connecticut, Canada, Germany, Italy, France, United Kingdom, Portugal, Venezuela, Brazil, Colombia, Argentina, Peru, Costa Rica, Dominican Republic, Mexico, Ecuador, Guatemala, Uruguay, Nicaragua, Panama, Trinidad and Tobago, Barbados, Jamaica, Puerto Rico, Aruba, Haiti ... and growing! Centrally located in Dania Beach, Florida we serve the greater metro area between Miami, Ft. Lauderdale, Boca, and beyond. We have been sought by cyclists across the US and the world, with a strong international following in the Caribbean, North and South America and even Europe. We are one of only two Retül certified centers in the Miami Dade, Broward and Palm Beach Counties. This is really critical when selecting a bike fitting service. See here why being Retül Certified matters. When you call us for an appointment, we will discuss your current situation, your goals and assist you in finding the bike fit package that best suits your needs and budget. We may direct you to your favorite bike shop to acquire supplies before your bike fit session if they are needed (like new cleats, for example). See here what's needed before your bike fitting session. Being independent has its benefits. It allows us to develop our business completely driven by bike fitting, sizing and research considerations only. This way, we are free to refine our craft to the highest level, tightly focused on doing one thing and doing it right. The result is that we can offer you the kind of bike fitting service your deserve: the very best. We are not a high turnover fit studio. We see only 2 or 3 clients per day, giving you ample time to spend with us - usually up to 4 hrs per appointment, sometimes more. No pressure to move on to the next customer in line. We are not done until it's done right. We set out to create an environment that is technology-rich, educated, maniacal about human performance and driven by one and only consideration: the utmost success of your fit. Ethics in business are a big pressure point for us too. We chose to create an environment with strong ethics. There are too many broken promises in the business world already. It's not who we want to be. We founded the business on the premise that we should treat our customers to an environment where promises are delivered. We developed a reputation that we will do the right thing, regardless of the extra efforts needed. We are known for going the extra mile and never giving the run around. These are not words on a pretty mission statement. We earn our business by word of mouth. So we live and die by the quality of our work. Check out our reviews. See if you can spot the common trend (Hint: . Bike fitting is not a job. It's not just a passion. It's an obsession for us. This is what we live for. This is what we love. We have been at the leading edge of bike fitting for over 16 years because we can't stop researching, learning and inventing. We always do more rather than less. The extra mile is the obligatory mile. We relentlessly look for the right solution. We are life-long cyclists ourselves - with a passion for this amazing sport. We started back when bike fitting was done with a plum line and a goniometer; we progressed through many technologies (inventing some along the way) and learned a lot of good things over the years. We know what works and what doesn't and don't give in to smoke and mirrors bike fitting tools that promise what they can't deliver. We are a fad-free zone because we know that fads just don't make for good science. We also believe in treating our customers the way we like to be treated when patronizing a business. There is no substitute for quality of work and follow up. We won't accept anything but the best outcome we can achieve for you. What we do is what sets us apart from any other bike fitting outfits. Our customers bring us every day a great variety of complex bike fitting challenges. We specialize in bike fitting areas that other fitting centers won't touch. If your situation is less than ordinary, we are interested. We not afraid of working hard to try and to find the solution that makes your riding more enjoyable. This is more demanding, requiring the use of lengthy and complex bike fitting protocols coupled with a unique depth of knowledge. That's why they are often shunned by others. It requires us to work hard; think deep; try harder. And we love it! But we don't stop there. We even developed our own bike fitting and bike sizing tools when we feel it's necessary to achieve the results we need for our customers. Read about the genesis of our unique bike fitting apparatus here, designed to complement the Retül and Computrainer technology. We also engineered our sizing bicycle to an unprecedented level of custom adjustability and developed a ground-breaking software around it, so we can offer the new generation of custom geometry design. We wanted to bring the process of custom bicycle design into the modern era of motion technology. Traditionally, the old-school custom geometry methodology has used your static limb measurements (like length of limbs, torso, etc.) to determine your size/geometry. We saw the potential of 3D motion capture afforded by the Retül technology and build a system around it, so we'd be able to design a bike that fits you based on how you move, how you interact with it. See here this impressive process. We developed this technology to extract the maximum performance out of the Retül 3D motion capture system. And, as far as we know, we are the only ones in the world doing this. We are a Retül Certified Fitting Center with a current year re-certification. This is very important. Only Certified Fitters can operate Retül equipment. Retül maintains the highest standards in the fitting industry for quality of education and fitting practices for each of its certified, Independently Owned Retül fitting facilities. Retül is not a franchise. It's a bike fitting technology that was previously only available to the Pro circuit and became commercially available in 2006. In 2012 Retül was purchased by Specialized so it could be offered it as its next, most advanced step in bike fitting beyond their well-known Body Geometry bike fitting technology. Bike fitting centers that operate Retül technology are independently owned by operators. This means, that each bike fitting center has its own take on what the fit should be, how long should it take, how much additional technology it uses and how much it costs. Variety is good when it comes to services, but not when it comes to operating the most sophisticated bike fitting technology. There are stringent Retül operating standards. 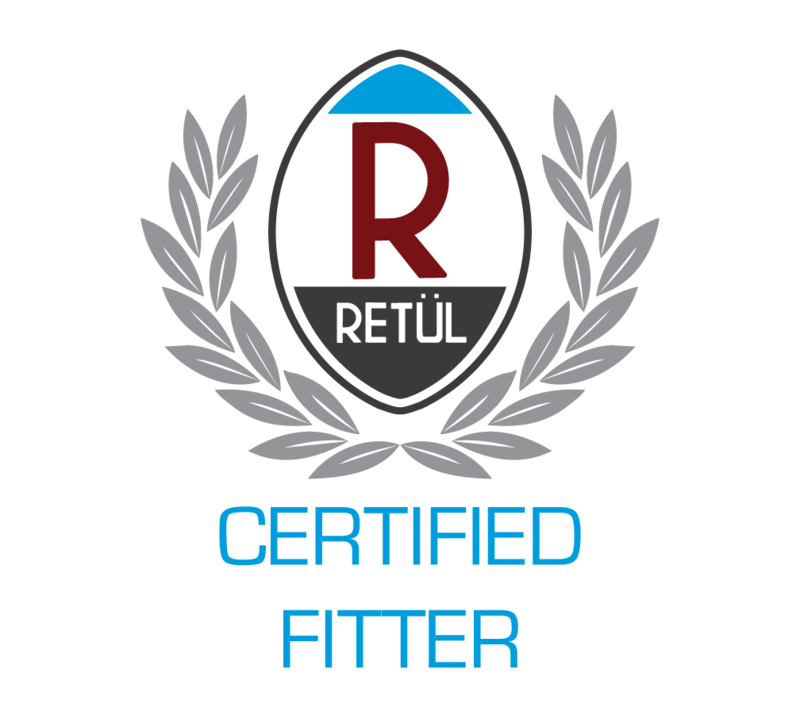 Each fitter operating a Retül system must go through an extensive Retül University Certification - not just one person in the whole bike shop or fit lab; make sure you ask if you bike fitter is actually certified! Retül requires mandatory yearly re-evaluations of each fitter to maintain the Retül Certified accreditation by going through extended fitting practices audits. This ensures fitters are always knowledgeable, capable and up-to-date with the fitting process and technology - meeting or exceeding standards of excellence. How serious is this accreditation and re-certification process? In 2014 there were 267 certified Retül centers in the US. Retül went through a thorough audit process of all its operators in 2015 upping the quality requirements. 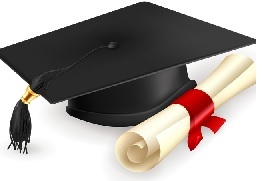 As of August 2015 there were only 91 that made the cut for recertification for 2015, including us. It has stayed that way since. In the Greater Miami Dade, Fort Lauderdale Broward and Boca Palm Beach County area, out of 12 Retül centers operating in 2014, only 2 of us were re-certified by Retül in 2016. It's not easy to stay Retül Certified. It takes dedication to quality of work and relentless ethics in business. Only the fitting centers with the highest verifiable quality of work can be re-accredited. This way, you know that we, as your Retül certified bike fitting center, are maintaining the highest standards promised to the cycling world by the Retül technology. We met and exceeded our Retül Certification standards to the point that we became the main center in South Florida. We specialize in bike fitting, sizing and custom geometry only. We are not a bike shop. We don't sell bikes or bling. We don't build or repair bikes. Just bike fitting, sizing, custom geometry design and performance services. There is no pressure to buy anything: just come to get maximized and comfortable into your bike. 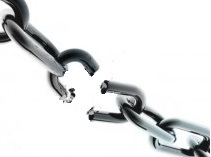 This keeps the process pure and prevents the fitting from being tainted by sales considerations. You are even welcome to bring your own bike parts that may be needed for bike fitting (like a stem or a seatpost or a saddle). We will direct you to a bike shop to purchase any pre-fit supplies, if needed. We can connect you with a shop and/or manufacturer if needed - and extend our discounts we have with participating bike shops. We are always happy to help. But we won't be selling you a bike, even when we coordinate the custom geometry design. We are a retail-free zone. We are driven by a deep passion for maximizing human performance while riding a bicycle. Our mission is simple: We want to keep you riding strong, healthy, and for years to come. We want you to enjoy your cycling and help you win races if you are so inclined. We do that by maximizing your relationship with your bike, neutralizing issues that may be causing (or be caused by) repetitive use injuries, and squeezing out every ounce of performance you are capable of. for our customers and the cycling community. We thrive on making people happy with their bikes so they can stay with the sport they love. We share your passion and we work hard in giving you the best experience we can. We are often seen as the last stop for individuals who thought they may never be able to ride again. We work hard in making sure you can ride healthy and strong. You don't need to be a Pro to get a bike fit. Everyone who climbs into a bike deserves to have a great experience, regardless of their fitness, expertise or equipment level. 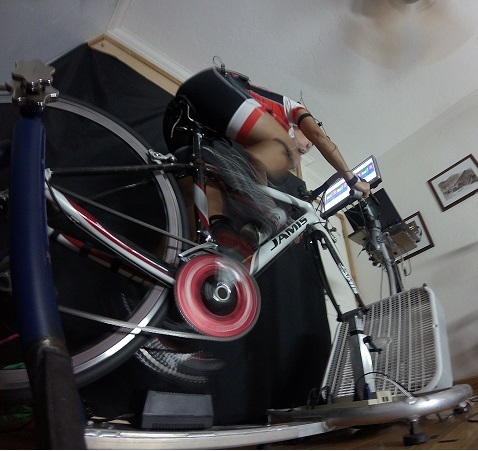 Bike fitting is not just about speed. It's not about looking aero. It's not about looking Pro It's about performance. There are many different levels of performance and many ways to look at it. Race results are one metric. And we work with many Pros and aspiring Pros to help them win. Health, fitness, PRs and fun are also a very important metrics. Not everyone needs (or wants to) race. For those who don't need to set a new land speed record, there is a world of bike fitting options that they may not be aware of. We primarily work and really enjoy working with the everyday cyclist who rides for fun, health, fitness and PRs. For this group of people, the performance metric is comfort vs. speed. If you are uncomfortable, it doesn't matter how aero you are. That's not performance. If you experience pain a few miles into a ride, it doesn't matter how much power you can generate in a short burst. That's not performance. If you are sore for days after the ride and need to take time off, your health goals may be at risk. That's not performance. You have to be able to complete your task as you set out to. That's performance. Performance is being able to ride your full distance at your best. Performance is being able to do it again, and again - day in; day out. To have performance, you don't need to be a super athlete. You just need to ride at whatever level you are able to and be fit in your bike so you are at your best. It's the mating of you and your bike that gives the only true metric of performance: your enjoyment. We are all about bringing you the joy of riding at your best, for time to come. Of course, if you want to break some record, win a Pro race or demolish your age group... been there, done that. We have helped quite a few athletes make their racing goals. What ever your goal, come on over; we've got your covered. We have the experience to match your needs. 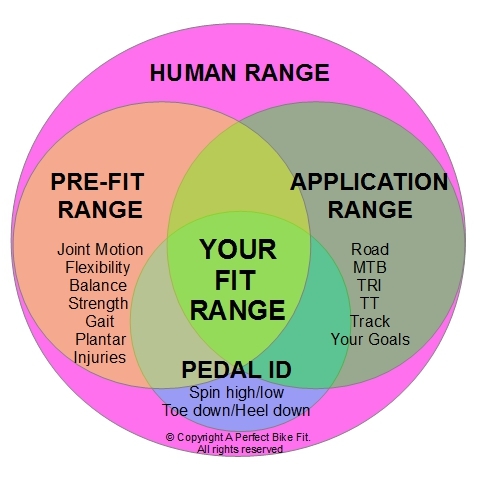 We developed the most comprehensive fit process and set of bike fitting protocols to address a wide variety of specific needs. Our bike fitting process is the results of years of development and refining of processes. We developed technology and mated it to Retül and Computrainer technology to arrive at a state of the art, seamless fusion of leading edge hardware, software and bike fitting experience - all deriving from our accumulated knowledge, ingenuity and the genuine desire to achieve the best possible results for our customers. We always start with a clean slate. No preconceived notions. You are not the same as another cyclist. Every athlete is unique in his/her situation. 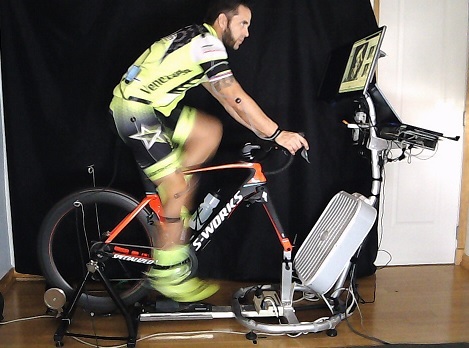 Using this unique ensemble of leading edge technology, deployed in the true and tried environment of biomechanics, we fit cyclists within their own personal fit range. 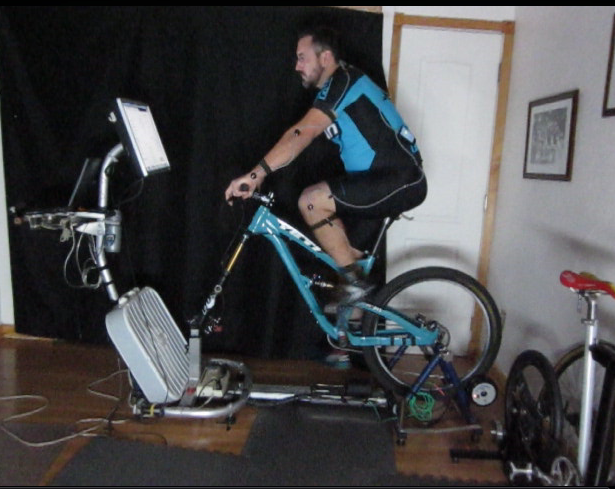 Read about the steps involved in our bike fitting process. Bike fitting is a range - not an ideal position. There is no "sweet spot", the mythical ideal position. This is an outdated concept. Run away if anyone tries to sell it to you. Don't believe in the sweet spot. Believe in the fit range. Flexibility, joint range of motion, limitations due to injuries, gait, foot configuration, strength in key muscle groups, limitations of any kind, etc. Where the parameters of the window ranges intersect, we find your personal fit range. This may sound really straightforward, but most fitting organizations and individual fitters struggle with this notion; they hang on to the idea of the sweet spot because it's easy to sell. However... Would you fit a 60 years old cycling enthusiast the same as you would a 21 years old skinny Pro? Clearly, the answer is no. And so, there isn't a sweet spot, but a personal fit range. Read our fitting philosophy in details and understand how it can benefit you. Learn how our fitting process is designed to achieve your success. 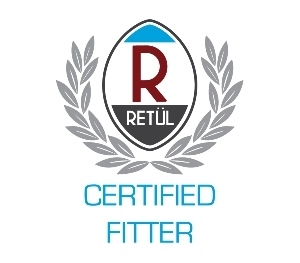 We are Retül Certified Fitters with a current year re-certification (this is important, fitters must take continuing education credits at Retül University to remain certified). Our senior fitter has over 15 years of experience using a variety of technologies. 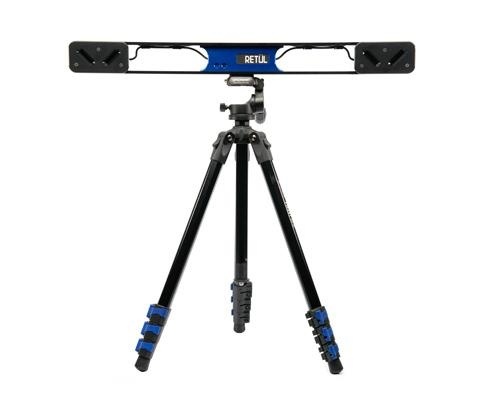 From the "old school" plum line and goniometer, to stop motion video capture, to BG fit and Retül 3D motion capture experience, we have built a bulk of experience unrivaled by most fitters. We have attended accredited courses on foot/pedal interface and fitting for injuries. We can't stop learning. If we are not fitting, we are studying, learning from as many sources as possible. We have spent 6 years working at Colnago -quite possibly the most prestigious bicycle manufacturer in the world. Colnago is the early pioneer in bike design and performance -they had Eddy Merckx as guinea pig; talk about palmares! This company has a pedigree that is unmatched - and abundant with trade secrets that make Colnago bikes ride like no others. We have learned from the very best in the cycling business about bike design, sizing and fitting. We earned a few frame design and fit certifications in the process. We feel blessed to have had the opportunity. Our senior fitter also holds a BS in Aerospace Engineering, specialized in aerodynamics. This is very helpful in many occasions, especially when working with all the Triathlon and Time Trial aero enthusiasts looking to go faster. 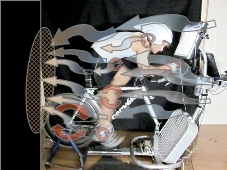 The wind-tunnel experience comes handy when setting up Triathlon and Time Trial positions that truly reduce your drag. Aerodynamics are tricky. Most fitters use the feeling of wind resistance on their own body as accumulated experience for drag. 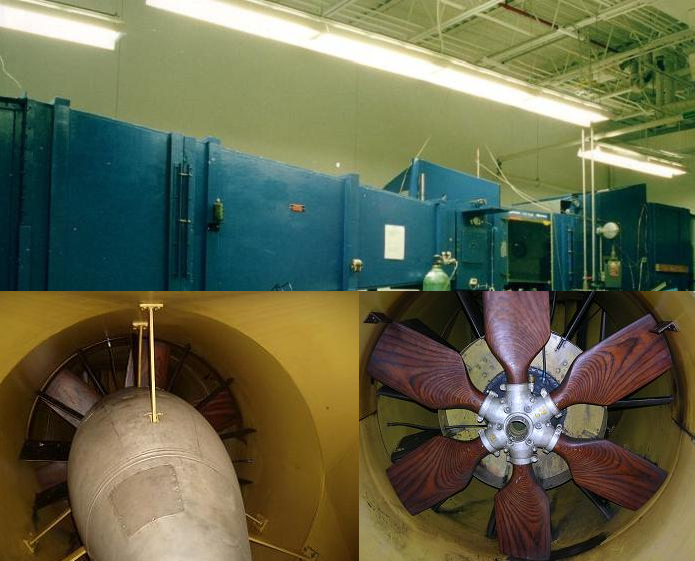 This is all well and good to play around, but experiential methodologies fail to the scrutiny of the wind tunnel. Air interacts with a rider in complex ways. Only when you are trained in aerodynamics you can truly understand the complexities of fluid dynamics. The success depends on the details of flow management and boundary layer separation - not how low-down you slam the rider. Especially at low speeds, like those involved in human-powered motion, the management of the flow is the key to reducing the drag - not how small you make your front section. This is not something you can feel on your skin while going downhill. It's something you need to spend years studying and manipulating in the wind tunnel. We have done it and now it's available to you. Our senior fitter has an incredible talent and breath of knowledge, with an uncanny ability to understand each individual situation. We are one of the very few fitting centers who have the skill set to work with the widest variety of riders: from the recreational weekend warrior riding for fitness or weight management, to the amateur racer, to the experienced PRO; we know how to help you to be the best you can be. We understand the different needs of the road, mountain, triathlon, track and cyclecross rider because we actually enjoy, ride and compete in all - and we can relate. Not everyone can transcend his/her experience and connect with someone else's. Being able to listen and understand is paramount - and well as relate. The success of your fit depends on listening to your needs as much as it does on the quality of the tools used. Most fitters are ex-racers and know how to address only that narrow segment of the riding population. We race too, TRI, MTB, TRACK, CROSS, ROAD and ULTRA ENDURANCE. Our own experience allows us to understand deeply the issues and challenges of your performance (on and off the bike) and relate to your experience. 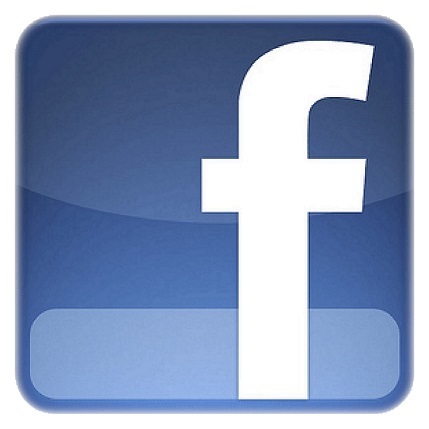 Please visit our: Reviews Page on Facebook. We earned every one of these reviews the old fashioned way: good service and genuine customer satisfaction - no paid bots or ads or fake accounts. We did the work and over the years our customers rewarded us with good reviews. We hope you'll be impressed by the success we have had with so many different situations. All we asked to our customers was to share their experience in their own words. We didn't ask for anything more. In their reviews, you'll notice one common thread: quality of time and attention to details. You don't get that kind of consistency across time, type of bike fit and customers, unless you are delivering the very best over and over again. We use Retül 3D dynamic motion-capture because it's simply the best (and only) 3D dynamic motion capture system. Nothing else is quite like it. This is state of the art technology that delivers results. That's why we chose it. When we were faced with the decision to choose a fitting system, we looked for a system that would be truly beneficial to our customers, all our customers, not just the Pros or the racers. We looked for a technology that we could get behind. We could have chosen anything. Retül was by far the best decision that we could make. We don't think it's the best because we have it. We have it because it is the best. Retül brings the fitting process to the ultimate level. 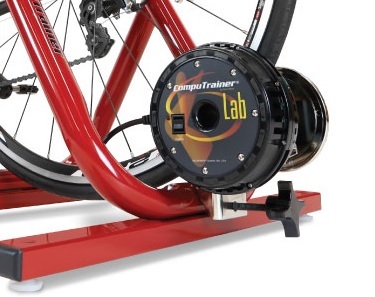 It separates fitters from the rest and sets up a solid base for the success of your bike fit. Being able to see a cyclist in motion and measuring the body geometry angles dynamically is a game changer. It allows us to see a rider's movements in very fine details - 1 mm of body movement in 3 dimensions in space. It allows us to intervene to correct and maximize the relationship with the bike with unprecedented levels of accuracy. We get to see you at your best and your worse, while in motion. Static bike fit protocols (using plum line and lasers) or stop-motion capture systems (using video cameras) can't do that. Their limitation in delivering bike fitting results is due to design and technology. And so their implementation simply delivers inferior results. That is very important. If you are suffering from a repetitive use injury, trying to get comfortable on your bike or you are trying to be as fast as you can, Retül 3D motion capture is what you want. A few millimeters make a big difference. A little nuance in your knee tracking can be the difference in riding in comfort or pain. That's why Retül is the standard fitting system for powerhouse Pro Teams like Team Sky, Europcar, Garmin, MTN-Qhubeka, Team Colombia, etc. Read more about Retül here. We also use RacerMate Computrainer Ergometer tools. 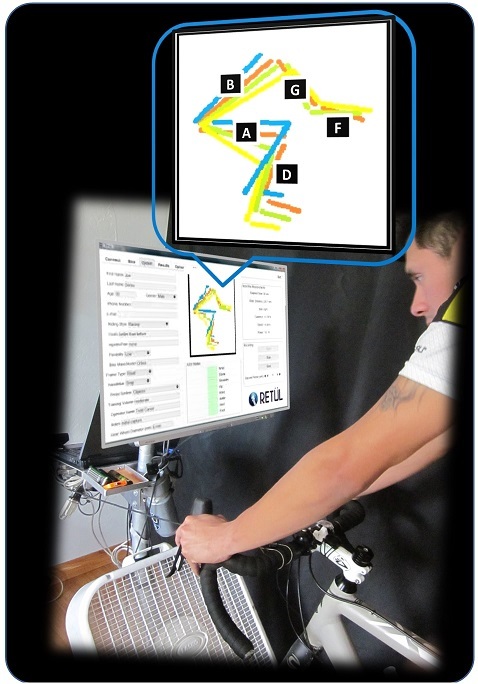 Computrainer has been at the leading edge of power testing and pedaling mechanics analytics technology for decades and it's still the reference tool for everyone in the industry. 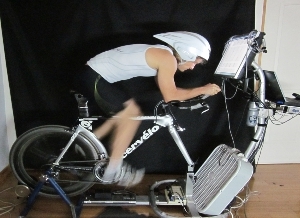 If a power study has been done, Computrainer was the tool of the labs, universities, physiologists and athletes involved in ground-breaking pedaling research. And so we chose it for our operations. The Computrainer is the perfect companion to Retül. It gives us information on power, torque throughout the pedal stroke and a wealth of other data to help us analyze your unique pedal stroke and maximize it. We built a significant part of of our bike fitting process around the Computrainer because it helps us find your Pedal ID. With that info, we can choose a bike fitting range that's optimized specifically for how you pedal. We are the only ones doing this, going to this extreme of details to fit you and find performance in your interaction with the bicycle. That's why we can offer a true performance-based bike fitting protocol: the Pro-Level fit is the ultimate level of bike fitting that merges pedaling mechanics with bike fit biomechanics. And you can only get that bike fitting protocol here because we wrote the book on it. We have also developed our own tools to complement our bike fitting technologies. We developed a very advanced system to simulate riding conditions with as much fidelity as possible. We call it affectionately the fit rig. With Retül accuracy of measurement, we felt that is was necessary to develop a system that would support a bicycle and a rider in motion with absolute precision. This is extra step not done by anyone in the industry. This supportive, ancillary technology to bike fitting simply doesn't exist. We saw the need for it, so we designed it, developed it and deployed in our fitting studio. 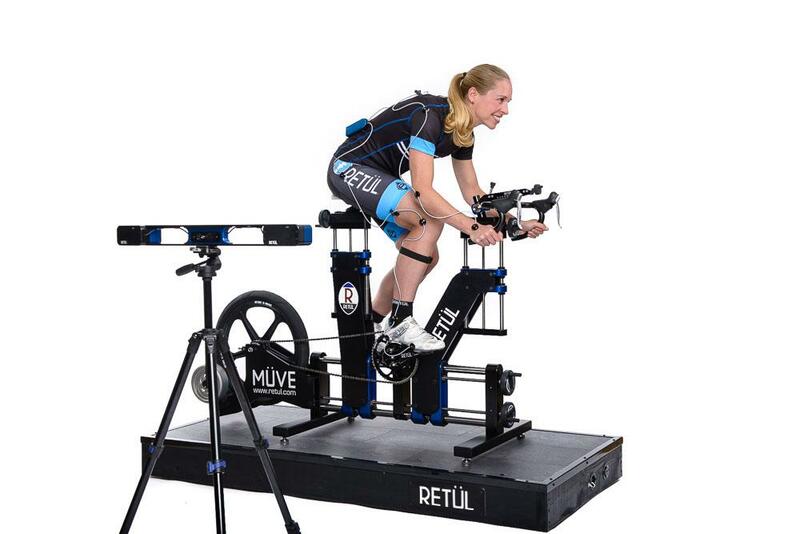 It provides the necessary foundations upon which Retül and Computrainer can rely to deliver their data with accuracy. We think everyone should use a fit rig to assure a proper bike position. Our own original design and manufacturing of the fit rig allows us to hold the bike and rider in a stable position when under heavy loads. This is very important: Retül motion captures must be done at high power levels to be significant. We also must measure the organic movement of the cyclist on the bike - not the bike moving/sliding around the floor or the front wheel block. Tested up to a 1,000 Watts of rider power output, the fit rig puts us in a class of our own. It's a rig built with flexibility of application in mind. It can easily switch to hold road, aero or mountain bikes. The fit rig is also designed with information in mind. Two flat screen LED panels are placed in front of you so you can see all the wonderful wealth of details of the data we use and discuss with you to arrive at your bike fit position. It's a thing of beauty - and quite possibly the only one of its kind in the world. We also developed our sizing bicycle to offer the ideal pre-sale testing grounds upon which a customer can rely to make the most informed decision in his/her bicycle purchase. 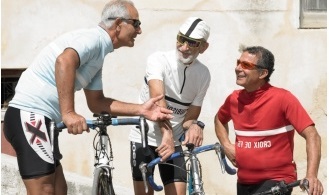 Buying a new bike can be a daunting task, even for the most experienced cyclists. What is the right size in a specific brand? What is the ideal geometry given a body type, or a specific use? We wanted to provide an educated answer to those questions. So we developed the sizing bike to emulate any bike geometry, any size. This is where our knowledge of bike fitting, design and geometry optimization came together to create a unique piece of technology. We looked for available commercial bike sizing technology products and we saw a huge gap in a specific area that's critical to the process of accurately sizing a person for a new bicycle. We noticed that none of the currently available systems would emulate the head angle. 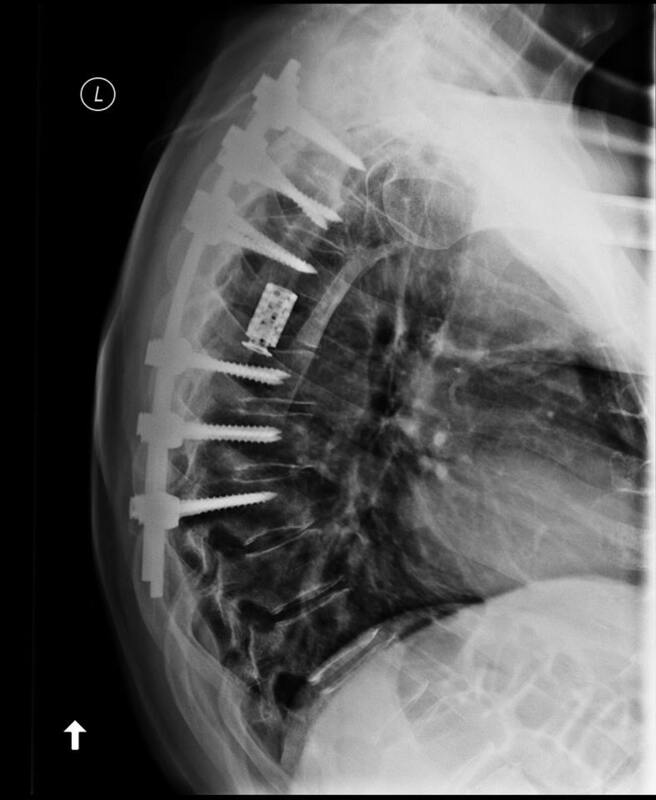 These systems are adjustable only in two dimensions, when 3 are needed. We designed our sizing bike to move in 3 Dimensions and emulate both seat tube angles and head tube angles. This is critical. Capable of emulating road, mountain, tri, track bicycle geometries and more, our design is so capable, it actually allows us to literally design bicycle underneath you that moves the way you do. We saw an untapped potential in the Retül 3D motion capture system and so we developed the Dream Bike proprietary software to complement the capabilities of your sizing bike hardware and, in the process, made a huge breakthrough in bicycle design: dynamic motion capture geometry design. This is cutting edge, revolutionary and puts us in a very unique position among bike fitters. 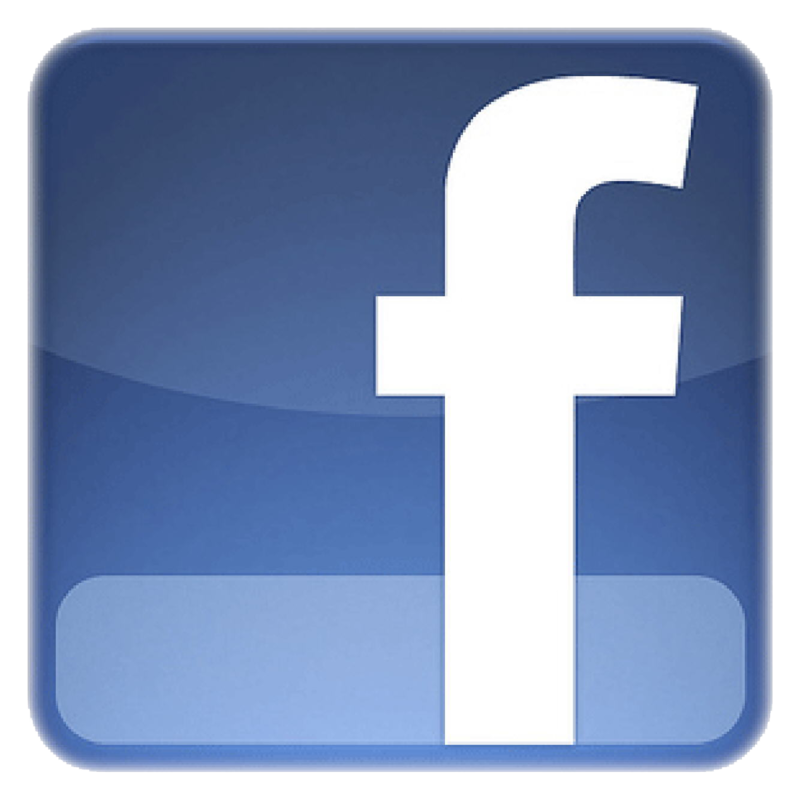 Read more in depth the details of the technologies we use here. We are dedicated and maniacal about the success of your bike fit. We are relentless in our drive to deliver the quality of service that you deserve. We work tirelessly to help you achieve your goals. No half-kept promises. That makes us unique in a world were promises are hardly ever backed up by facts. We work exclusively on referrals. We rely on what people say about us. No flashy advertising, no gimmicks, no sleek salesperson promising what they can't deliver. When friends send their friends; and they send their friends... you know you must be doing something right. We promise to do right by you. Want to schedule a fit? Go here to see how.